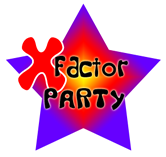 Not only do you get a lively & cool children's DJ & Entertainer with Richard Welsh, but a superb sound system and the latest disco light show. Richard will play all your favourites from the latest chart hits (with games if required) suitable for the age group. 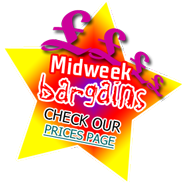 Why not add Karaoke for that extra bit of fun to make it a really memorable party. A great addition for older childrens parties. It’s their chance to be a pop star with all their favourite songs with lyrics on screen. Why not try Richard’s popular ‘X Factor’ style Karaoke show. Not only will your children be able to sing along to their favourite hits but even judge a friend’s rendition wearing Richard’s special ‘X Factor’ judge wigs! The most common problem with the end of term or kids school disco event is that the DJ plays music and the children just do their own thing. This normally means a small section of girls dancing and boys sitting around getting bored. 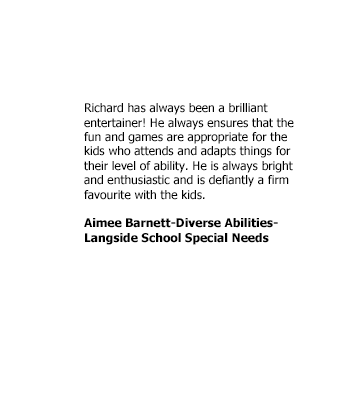 This won’t happen if Richard is there to entertain as he will make sure everyone is involved with dancing and games - boys and girls included. (Music requests for songs with unsuitable lyrics will not be permitted). 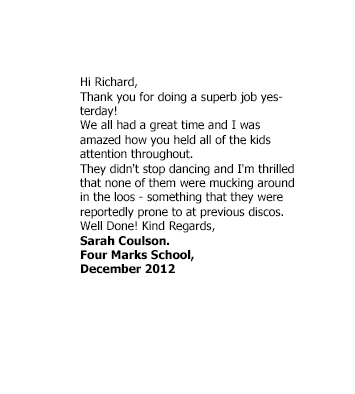 Richard is the perfect choice for your school disco. His personality and experience will help make sure your regular school event is a success. His boundless energy and encouragement will have everyone joining in the fun. With a huge list of regular schools ‘under his belt’, he knows how to handle all “Year Groups”.